Almost 78 years after Tenable Screw was founded by a Swiss watchmaker as a manufacturer of screws, the company has become one of the UK’s largest subcontract manufacturers of turned parts. Remaining deeply loyal to its roots, Tenable has unparalleled expertise in turned component production, something that is evident by the company’s relentless growth. 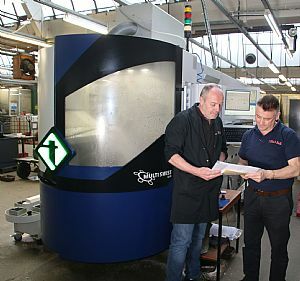 With three manufacturing sites in Marlborough, Coventry and its headquarters in Wimbledon, South London; Tenable has more than 250 machine tools that include 71 coil-fed Escomatics, 26 Multi-spindle machines, 56 sliding head turning centres and four fixed head turning centres. The machines produce millions of components every month. Committed to a culture of quality assured engineering excellence, Tenable Screw invests 10% of annual turnover in modern technology to support its live customer base of over 250 companies. Part of this investment strategy has seen the arrival of a Tornos MultiSwiss 6X14. The modern face of Tenable Screw sees the company manufacture everything from connector pins and sockets through to bolts, screws and much more for the electronics, instrumentation & control, automotive, aerospace, medical, defense, transport and telecommunications sectors in quantities that range from prototypes and small batch production up to 100,000+ runs. 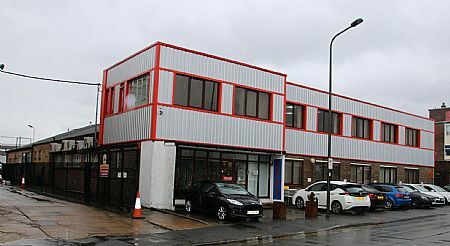 With London property at a premium and a 45,000sq/ft Wimbledon headquarters packed with machine tools, the philosophy behind the MultiSwiss 6X14 purchase was to add flexibility and capacity to a business with limited floor-space. 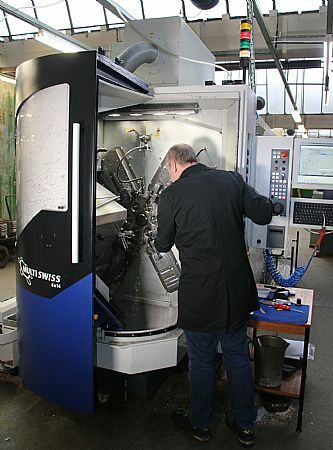 Just a few months after installing the MultiSwiss 6X14, Tenable Screw won a long-term automotive contract. The family of stainless steel pins require numerous external turning processes as well as knurling, drilling and parting-off. The UK contract requires 1,500,000 parts every year, a quantity equal to 30,000 parts every week. Tenable Screw trialled the automotive part on one of its sliding head turning centres and the cycle time was 1.5 parts per minute. 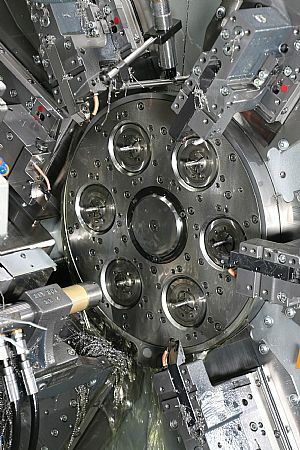 In stark contrast, the MultiSwiss 6X14 was capable of producing 9 parts per minute – an output equal to 6 sliding head turning centres. “We calculated that we would have needed to run 6 single spindle turning centres for 24 hours a day to meet the contract capacity level. We generally run our machines for 8-8.5 hours through the day and reset the machines at the end of a shift to run for an additional 8-9 hours unmanned. To meet the demands of this specific contract, we would have had to commit staff to running 6 sliding head machines around the clock. In comparison to the 24/7 running of 6 machines, the MultiSwiss 6X14 hits the same output by just running for 17-18 hours a day. This means we can run the machine during a day shift, change tools and re-stock the barfeed at the end of the shift and then run for an extra 8-9 hours unmanned,” says Mr Schlaefli.